We take great pride in our frame-to-finish approach, and we have our hands on every part of the project. This is how we ensure that each home is tight, true, and built to our high standard. 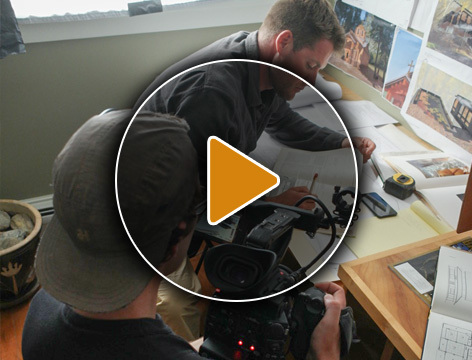 Our in house carpenters see a project all the way through from rough framing layout to the last piece of trim. Our passion for the building vocation is evident in our finished product. Working within the challenging framework of a renovation is a unique skill set we have worked hard to develop for more than 10 years. Much of the value of Vermont’s landscape is maintained in the beautiful existing structures that are scattered across our state. We work passionately to preserve your existing structure’s natural beauty, while upgrading it in support of your retrofit vision. In the end, you’ll be left with a beautiful, seamless blend of original and new. A condominium is a great option for many ski and outdoor enthusiasts, and can be a perfect approach if you are looking to maximize investment in premium fixtures and finishes. We are acutely familiar with the unique challenges and opportunities that come with condo renovations. With the dedicated efforts of our team, Newschool Builders can transform your property in to a luxury living space perfect for hosting aprés ski get-togethers nestled in the Green Mountain State. Collaboration on complex workflows with a variety of stakeholders is the nature of our work. Knowing this, we take the responsibility to provide a powerful management environment, enabling efficiency and effectiveness for all parties. Cooperation is encouraged, but we believe shared ownership does not work well. We will protect your interests by clearly defining division of responsibility and effectively managing critical workflows, even if owned by other stakeholders.